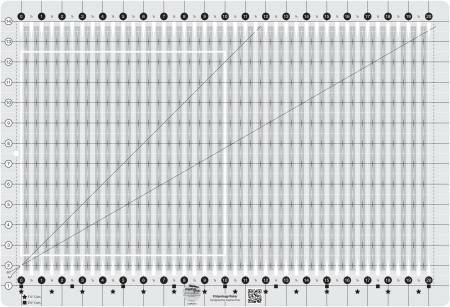 Creative Grids Stripology Ruler- Want more time to sew? Reduce your rotary cutting time by up to 75 percent with the Stripology ruler. Cut full width fabric and fat quarters into the most popular pre-cuts on the market, 1-1/2 and 2-1/2 inch strips; 5 and 10 inch squares. This ruler makes cutting a no-brainer! Need to cut in 1/4 inch increments? No problem, just follow the chart included in the instructions and use the 1/4 inch line on the ruler.